A bespoke Ancient Kauri wood table, made to a customer‘s order, with a desk-top from the Miocene swamps of New Zealand and with a pedestal of steel. 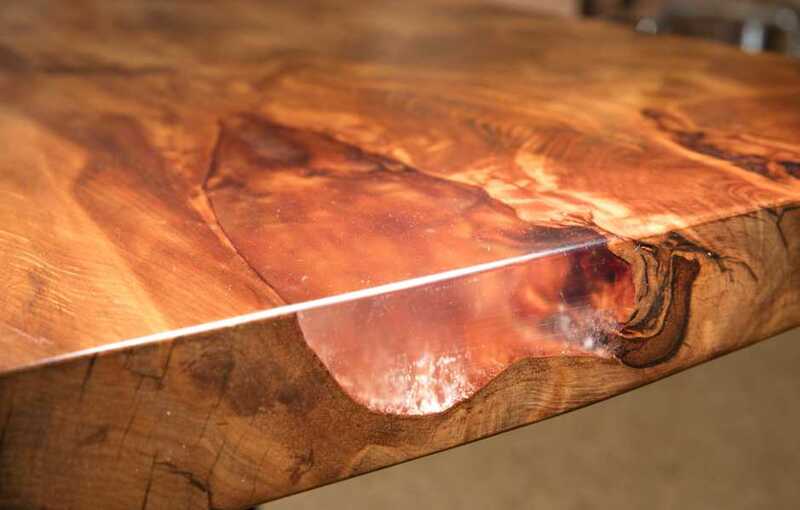 You can clearly see that this beautiful table-top was cut from a single large tree trunk. Grown as a single unit and retaining its natural form, the large solid desk-top has a unique character which radiate power and energy. 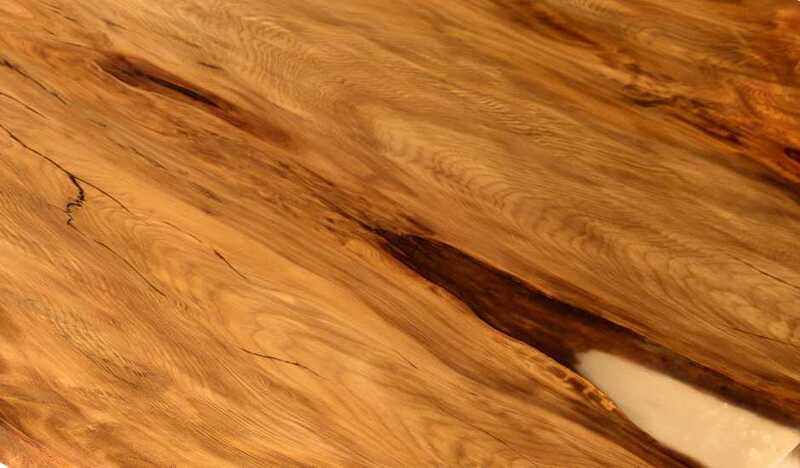 The natural grain lends a special note to the exclusive table. The impressive natural growth will be an incomparable eye-catcher for you, the owner, and with your guests. 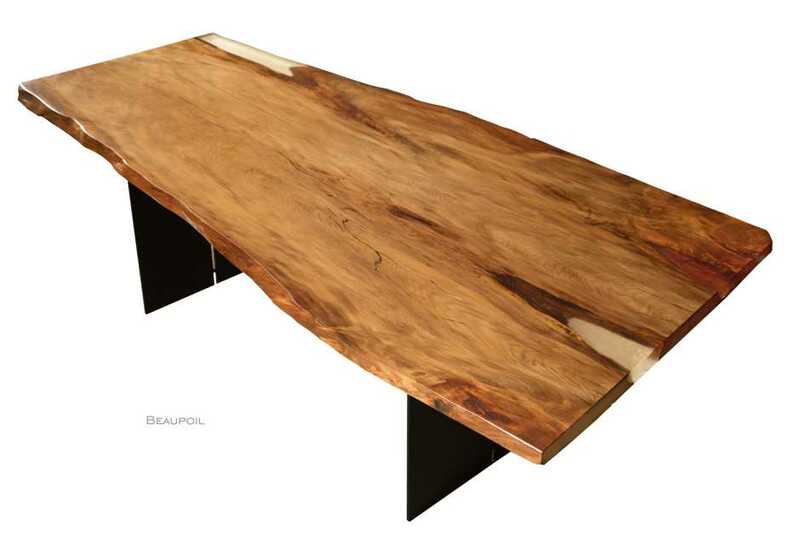 It is this that makes the Ancient Kauri wood so exclusive. 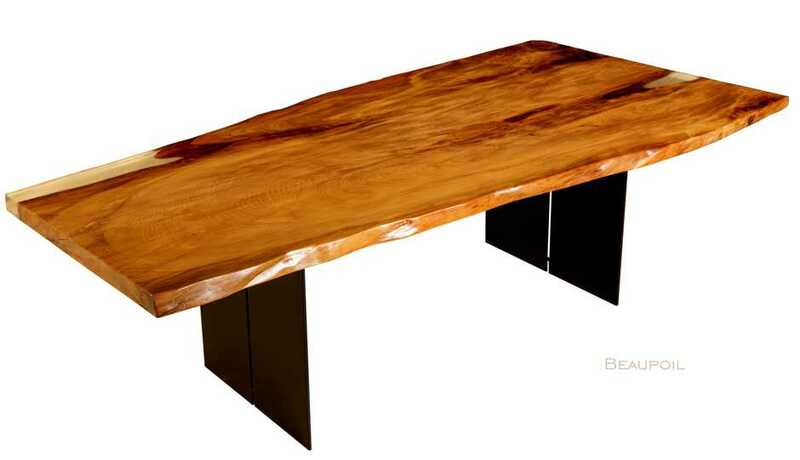 A unique eye-catcher is the cast natural waxing, whereby the width of the table top was adjusted according to the customer's wishes.